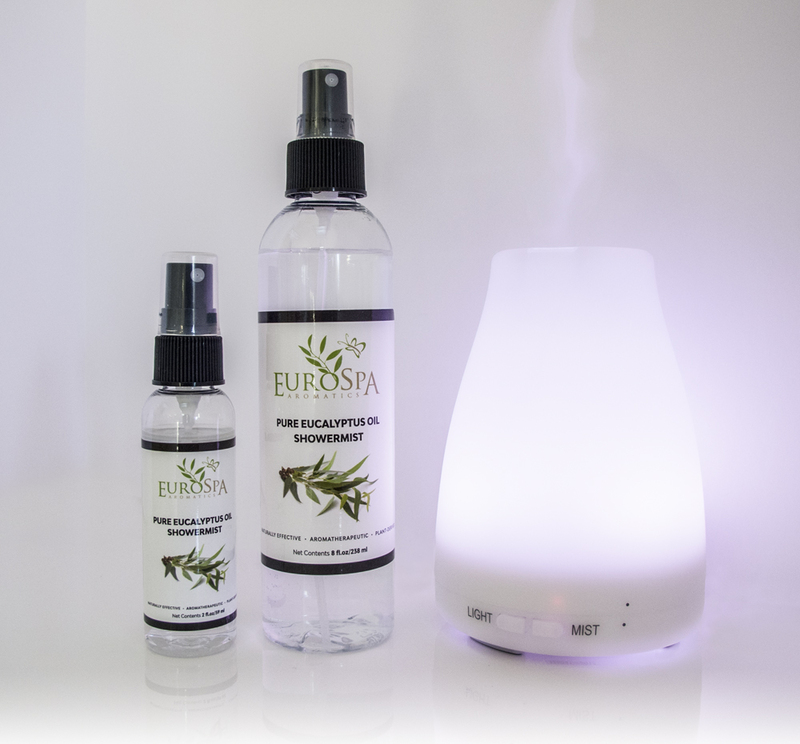 The Aroma Diffuser essential oil diffuser can enhance the effects of our pure Eucalyptus oils and provide beneficial aromatherapeutic effects. Add 2 or more sprays to the water in the tank to help you breathe better, remove bad odors, purify the air, create a lovely smelling ambiance for your room, or uplift your mood. Choose any one of our ShowerMists to include with the diffuser. 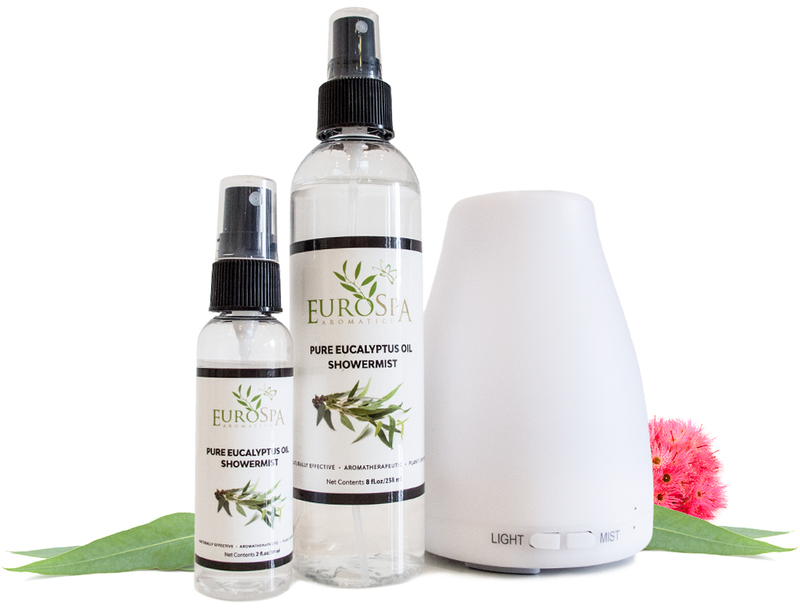 Add 2 or more sprays of our ShowerMist to the water in the tank to help you breathe better, remove bad odors, purify the air, create a lovely smelling ambiance for your room, or uplift your mood. You can also use any pure, high-quality essential oil for your aromatherapy needs. Choose between Intermittent (on and off at 30-second intervals) and Continuous mist-timer modes. The diffuser automatically shuts off when the water tank is empty to protect from burning out while ensuring safety, energy efficiency and peace of mind. From 7 calming colors, choose the perfect light setting to enhance your room’s ambiance, or set to white to use as a night light. 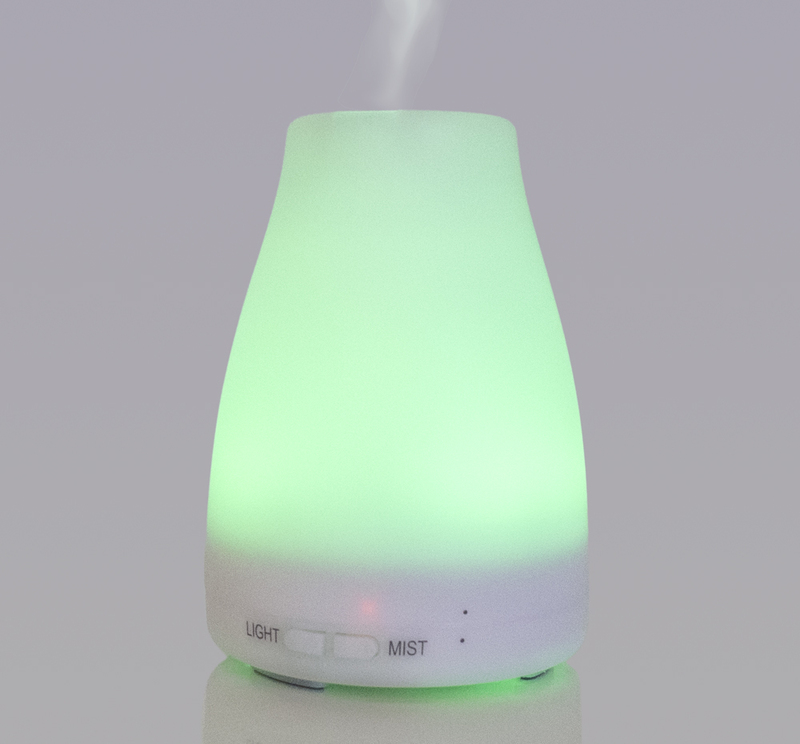 Whisper-quiet ultrasonic operation makes this diffuser a great option for use in a nursery, your bedroom or workspace. This noiseless diffuser is ideal for meditation and also allows for tranquil overnight use at your nightstand. ©Copyright 2019 EuroSpa Aromatics. All Rights Reserved.